Gabby O’Connor’s work is the first installation in the Control series. Using large sheets of hand-coloured paper, Gabby segmented the gallery space. 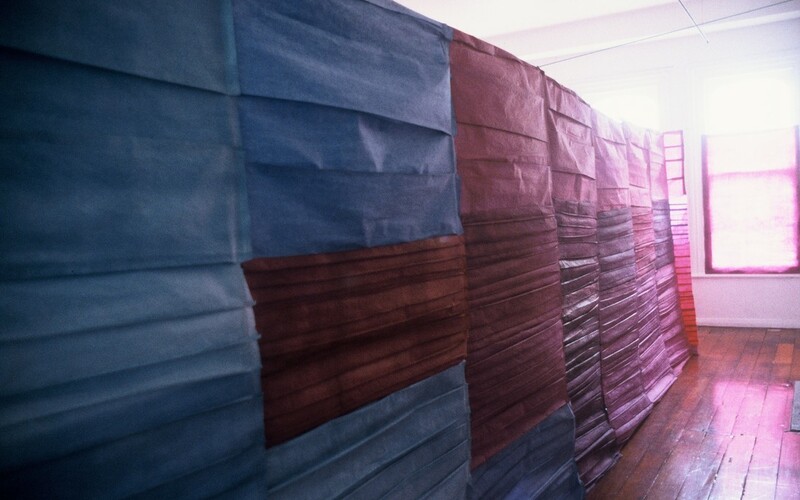 A paper wall ran within a metre of the front and back of the gallery, dividing the space length-wise. 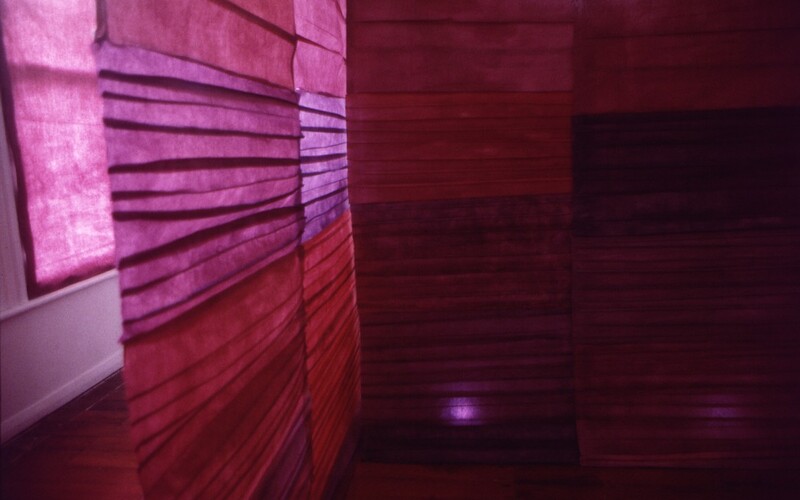 This wall was hung at approximately head-height, and was made up of two layers of paper, with floor-set lights shining through various shades of pink and blue. The lightweight quality of the paper highlighted every movement, and the divider appeared to be breathing with a number of people in the space. It also hid from view, those moving on the other side. 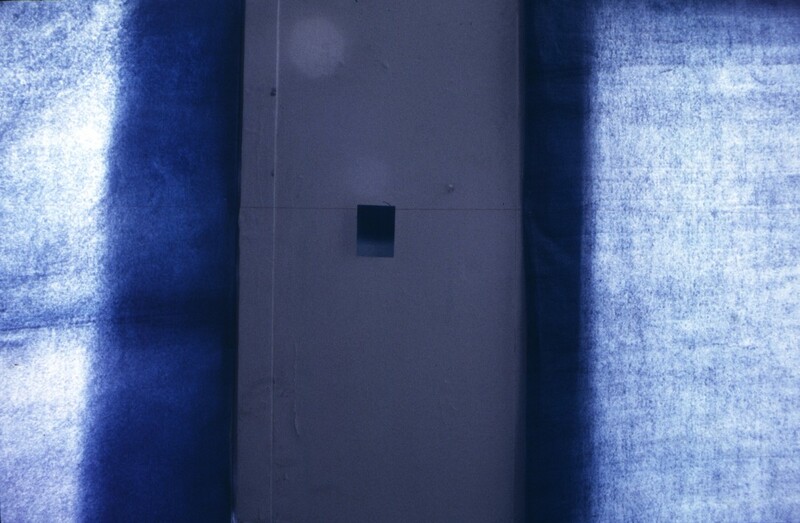 The natural light in the space was partially distorted as the coloured sheets had found their way onto the windows too, at the same height as the divider.